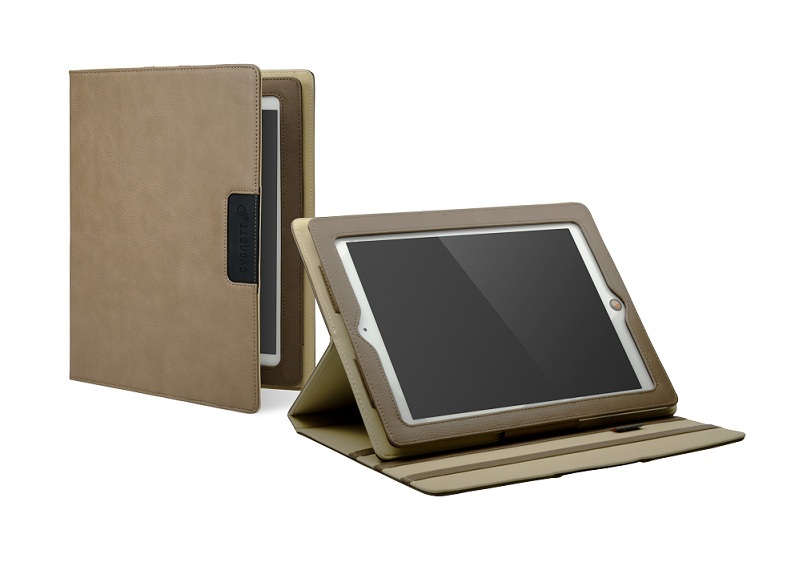 Article first published as Cygnett Lavish Earth Folio Case and Alumni Canvas Case - iPad Accessory Reviews on Blogcritics. iPad cases are so common today that companies need to find ways to stand out from the competition. Some of these methods include adding a specific function to the case (like making it water resistant), touting a special property of the case (like claiming that it will stay on a porsche), or adding some design tweaks and paying attention to little details. The folks at Cygnett have opted for the latter, and I was able to try out two of their cases on my iPad 2. Ah, the sweet smell of leather (or faux leather). The Lavish Earth is a handsome well designed folio case that features a leather style slim case and high quality stitching around all edges. A simple flap allows for easy in/out access for the iPad (a must if you want to swap cases or ever use the iPad sans case). All power and volume controls, the single port and the camera are all easily accessible. The case provides three different views in landscape mode, and though typing can be a bit unstable, the angles provide multiple options for viewing. This comes in handy in tight spaces such as on an airplane. Aside from a strong design, the magnets that keep the folio case closed are strong and respond well to the instant wake feature of the iPad. The Lavish Earth Folio case is available in black, purple and sandstone for $59.99 direct from Cygnett. 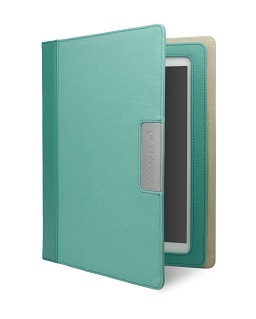 For a brighter option, I switched over to the Alumni case which was given to me in a radiant teal color. Similar to the above case, the Alumni features high quality materials (in this case, a canvas material with a leather spine, similar to a well made book cover) and top notch stitching. Although the canvas case does not have the multi-view stand capabilities, the case does offer a storage pocket for papers, receipts, IDs, and other thin materials. I wouldn't expect to carry a lot in the pocket, but as more people carry their iPad around and may carry only their iPad to meetings, having someplace to store quick memos or small sheets of paper can be quite useful. The Alumni Canvas case is available in blue, green, pink, and black for $49.99 direct from Cygnett. Both cases will be given away on my blog this month. Check the right sidebar for details and enter early and often.